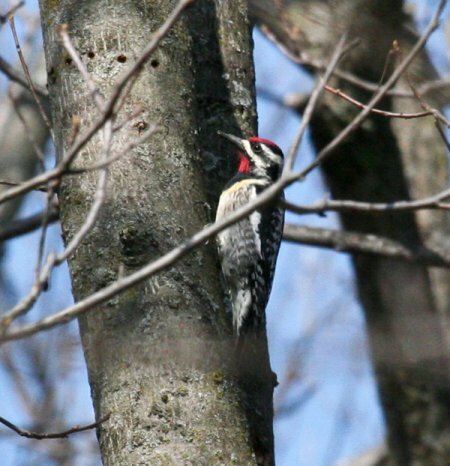 Every spring I look for Yellow-bellied Sapsuckers in my back yard here in West Des Moines, as they migrate north to their breeding grounds. Sometimes I find none, but this year was a banner year. At least four individuals showed up one early April day. Here is a picture of one of them, as he worked over one of the bigger trees in our ravine looking, I suppose, for sap.